The bench got them going, and then Utah's starters took care of the rest. The Jazz outscored the Pelicans 74-51 in the middle two quarters en route to a 132-111 blowout victory in New Orleans Saturday night. Ricky Rubio led all players with 28 points and 12 assists as Utah (3-2) won its second straight game. "I wasn't finding my rhythm in the first few games," Rubio said. "But my teammates have confidence in me, and I talked to the coach and he has confidence in me. I just kept shooting." Rudy Gobert notched his fifth straight double-double with 25 points, 14 rebounds and four blocks, while Donovan Mitchell added 22 points (on 7-for-10 shooting) and six assists in the win. Mitchell scored 17 of those points in the second half. Danté Exum (11 points) and Derrick Favors (10 points, seven rebounds, two blocks) also scored in double figures for the Jazz. Nikola Mirotic made six of his first seven shots and finished with a team-high 25 points on 10-for-18 shooting for New Orleans (4-1). Jrue Holiday added 18 points and six assists in the loss. The Pelicans played without superstar Anthony Davis (elbow soreness). After shooting only 7-for-32 (21.9 percent) through Utah's first four games, Rubio busted out with 28 points on 8-for-14 shooting. He hit from all over the floor—threes from the wing and both corners; mid-range jumpers; driving layups—and he added six rebounds, 12 assists and a steal in 30 minutes. Rubio is now a perfect 15-for-15 from the free-throw line this season. Trailing by three heading into the second quarter, the Jazz opened the period on a 18-4 run to take control of the game. Ingles and Exum got to the rim for back-to-back layups, and Georges Niang came off the bench and promptly canned a corner three. Two free throws by Niang, a left-handed hook shot by Favors, a three-point play by Rubio and a two-handed dunk by Gobert gave the Jazz a 46-35 lead. 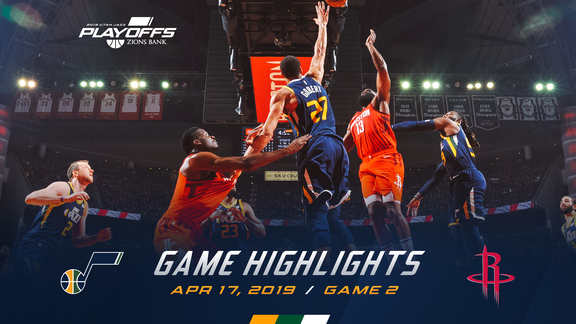 Mitchell hit a three to open the second half, while Gobert put in a second-chance layup and Favors sank a floater from the free-throw line to give Utah a 20-point lead. The Jazz would push that lead to 27 after back-to-back threes by Mitchell and Royce O'Neale. New Orleans cut Utah's lead down to eight midway through the fourth quarter, but the Jazz answered with a quick 8-0 run to take back control of the game. Ingles banked in a tough floater and Crowder made a layup, and Rubio and Ingles shot 4-for-4 from the line. A layup by Mitchell and three-point play by Gobert put the Jazz back up by 21 just two minutes later. The Jazz set a season high with 32 assists (on 46 made baskets). Rubio led the way with 12, while Mitchell added six and Crowder finished with five assists in 28 minutes off the bench. Utah shot 52.3 percent from the field as Gobert (11-for-13), Mitchell (7-for-10) and Rubio (8-for-14) combined to shoot 70.1 percent. New Orleans shot 42.1 percent from the field. The Jazz are now averaging 112.4 points over their first five games, and they've scored at least 120 points three times. Last season they averaged 104.1 points per game. "We moved the ball tonight. Our passes were precise. 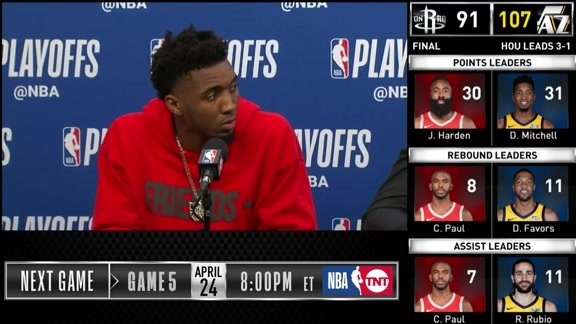 Obviously, with AD out the guys were throwing the ball high and our bigs could stretch and get it." The Jazz are now 3-0 on the road this season. ... Frank Jackson, who played high school basketball in Utah, scored a career-high 14 points off the bench for New Orleans. ... Utah shot 30-for-37 (81.1 percent) from the free-throw line. ... The Jazz outscored the Pelicans 64-52 in the paint. ... Ingles (2-for-10) struggled from the field for the third straight game. After starting the season shooting 19-for-27 (70.4 percent), he's shot 9-for-32 (28.1 percent) since. The Jazz will travel to Dallas to face the Mavericks on Sunday night. Tipoff is set for 5:00pm MT.